If you have friends or family living overseas, a significant percentage of your pay cheque may go towards keeping in touch with them. Although emails can be a great way to communicate, nothing compares to hearing a loved one’s voice. Phone calls are also unavoidable in case of emergencies, when you really need to get in touch with someone immediately. International rates offered by most major phone carriers are shockingly high, and that five-minute phone call can lead to an unwelcome surprise when you see your bill at the end of the month! By planning ahead and using alternative calling methods, you can save a great deal on international calls. The following are a few handy options to consider. Probably the worst option for placing an overseas call is to use the regular minutes on your mobile phone. However, you can cut costs significantly if you purchase a Lebara card to use when making these calls. Most of the UK’s top mobile phone providers offer options for placing international calls, including Vodafone, Orange, and T-Mobile. Some of these are pay as you go, while others have a monthly fee. You can find even lower rates if you look for a provider who specializes in pay as you go phones and international tariffs. Lebara is a service provider offering extremely competitive rates. No matter which provider you choose, be sure to read all of the fine print to ensure that the countries you need to call are included in the plan. Look out for hidden connection fees or other charges, and find out if calls placed at certain times of day are charged at a higher rate than others. Although it seems old-fashioned, using a calling card is still a way to get a decent rate on your international calls. These are available from many shops or supermarkets, and are usually already loaded with a certain amount of credit. To use a calling card, you simply dial the access number followed by your PIN number found on the card. You can then call the destination number, and credit is taken from the card. Although these rates are competitive, there may be hidden connection charges or higher rates for calls from mobile phones. As with pay as you go phones, be sure to shop around. One popular option is to use a voice over internet protocol service like Skype or Vonage. Skype allows you to make free calls from your computer, as long as your contact also has a computer with a Skype account. You can also call landlines or mobile phones, but will be paid a charge for these calls. Vonage works in a similar manner, offering a variety of different international call plans that you can choose from. However, you’ll need to purchase a speciality phone adaptor to use this service. These are three popular options to choose from when you need to make overseas calls. At the very least, it’s worth having a prepaid SIM card or calling card stashed away for when the need arises. 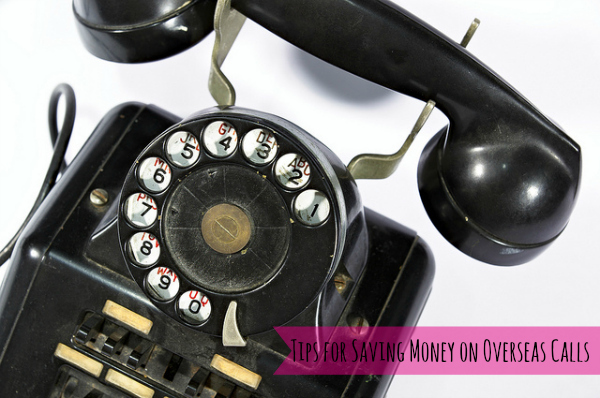 This will help prevent any nasty surprises on your next phone bill.